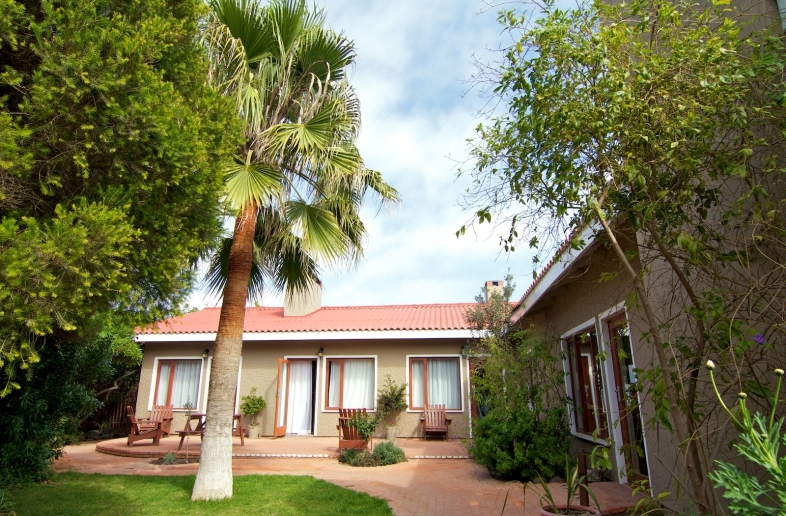 Desert Breeze is located on the banks of the Swakop River, at 2.5 km from the centre of Swakopmund. 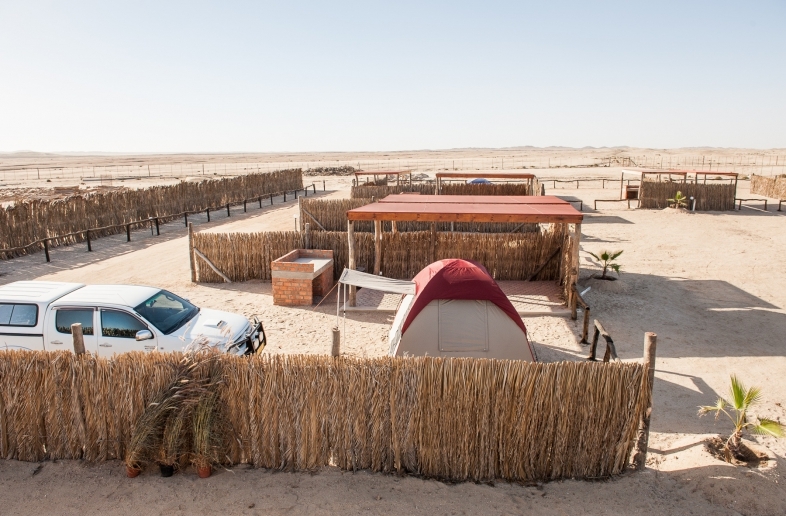 All accommodations have their own private sun terrace, with a fantastic view of the surrounding dunes. Each bungalow is furnished differently and has its own bathroom with shower. The breakfast is served on the terrace or in the dining room every morning. 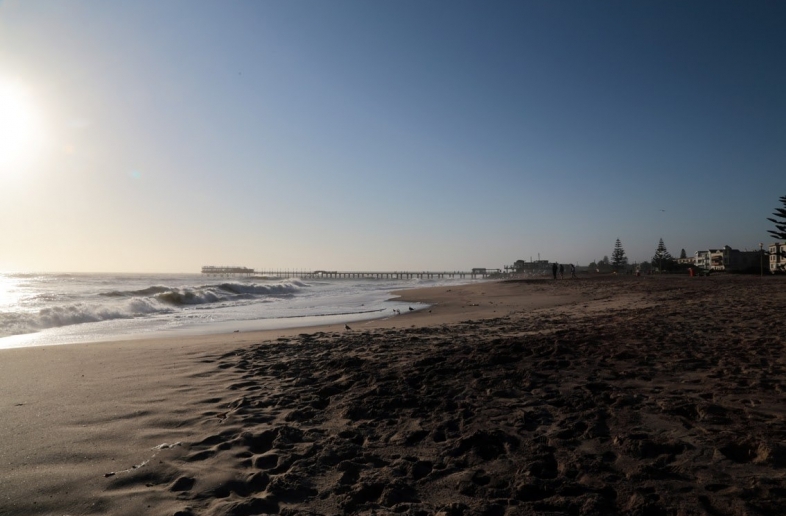 There is plenty to do around Swakopmund and the Desert Breeze staff are happy to help you book various activities. 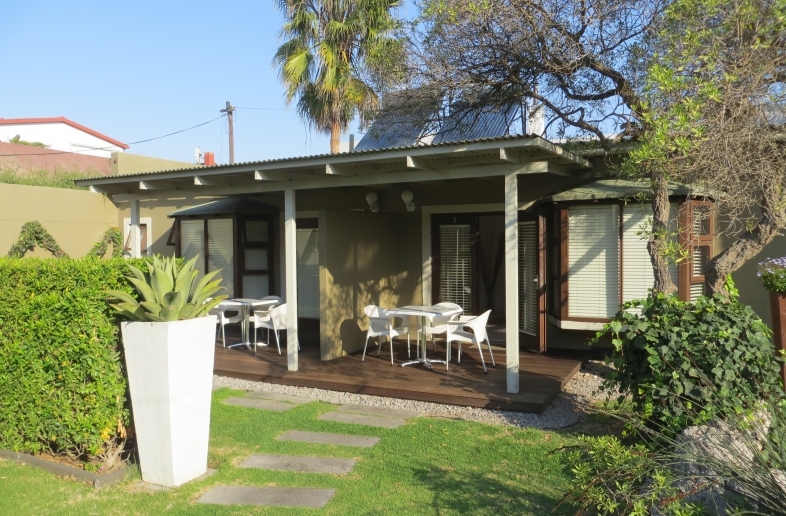 The airport of Swakopmund is just a 7-minute drive from the accommodation. In various 4×4 self drive Namibia (and Botswana) trips, the Desert Breeze in Swakopmund is scheduled as standard. Campsite just outside of Swakopmund. 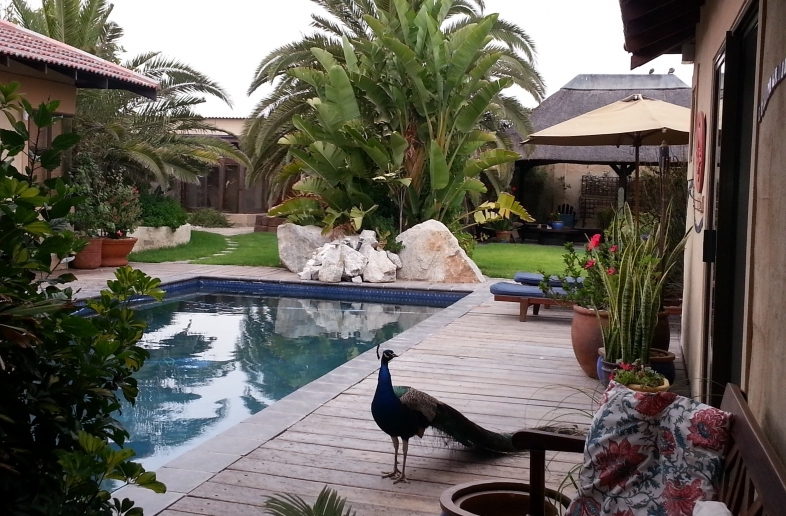 Good guesthouse near the beach of Swakopmund. Colorful chalets just oustide Swakopmund.